Home > Free > 50¢ Aleve at Publix + Free Movie Ticket! 50¢ Aleve at Publix + Free Movie Ticket! I would say this is my “don’t miss” deal this week! 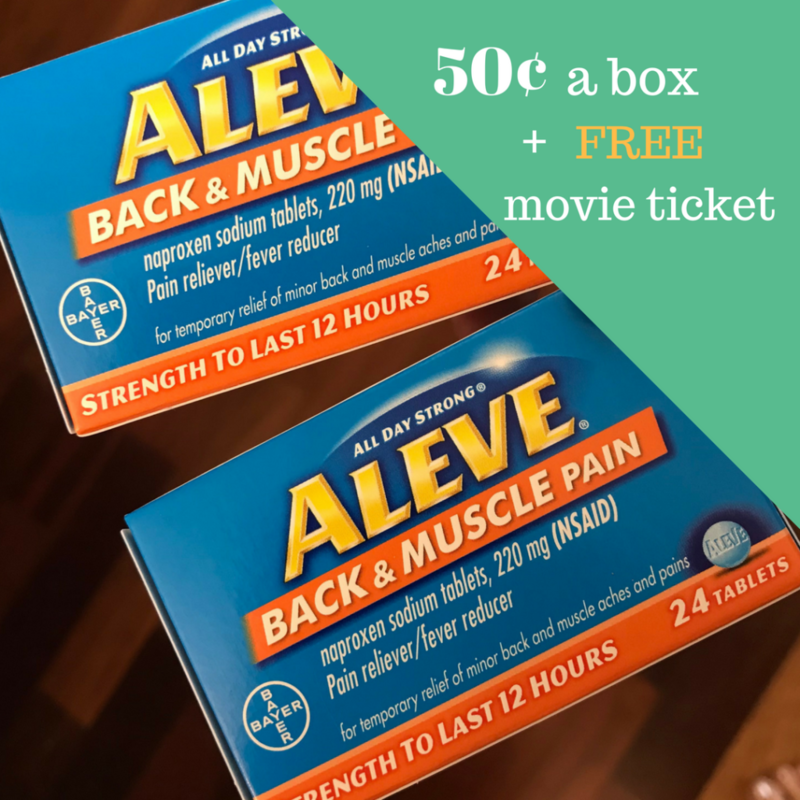 Publix has Aleve Back & Muscle pain reliever on sale for $3.50 a box and we have a sweet $3 off printable coupon. That makes it an easy 50¢ a box! Plus when you buy two Aleve Back & Muscle on the same trip and submit a picture of your receipt and you’ll get a $13 Fandango credit! That makes for a free movie at any theater in our town (hopefully yours too). Tip: I submitted my receipt this morning… and they will only let you upload one image. The FAQ’s say you can “fold the receipt to show participating products and the header with store name, purchase date, etc. and then take a picture of the receipt”. See all the other deals at Publix this week!